The Princess of Planet Kougu, here to bring some excitement to the hobby world! From a planet many light years away from Earth known as Planet Kougu, comes a princess who loves the subculture on Earth - Nipako! 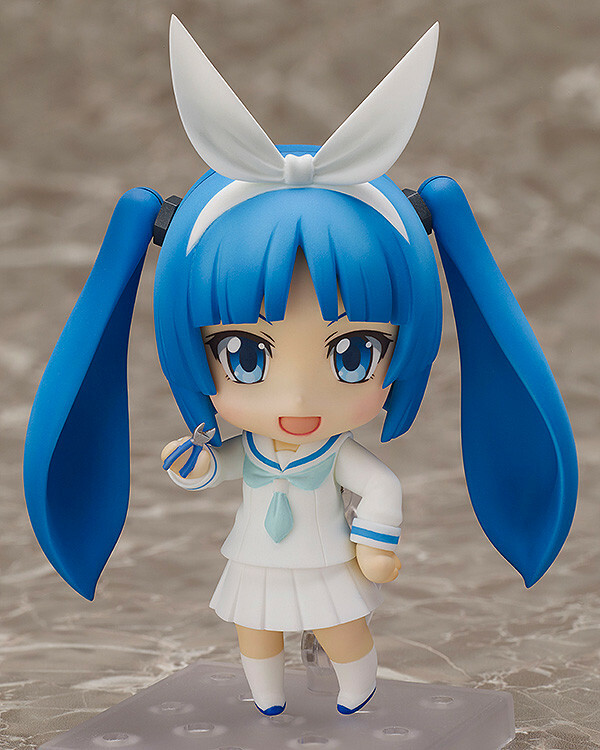 The character is a personification of plastic model nippers created by the metalworking town of Tsubame-Sanjou in Niigata prefecture - her real name is Celine P. Nippern, and now she is joining the Nendoroids! 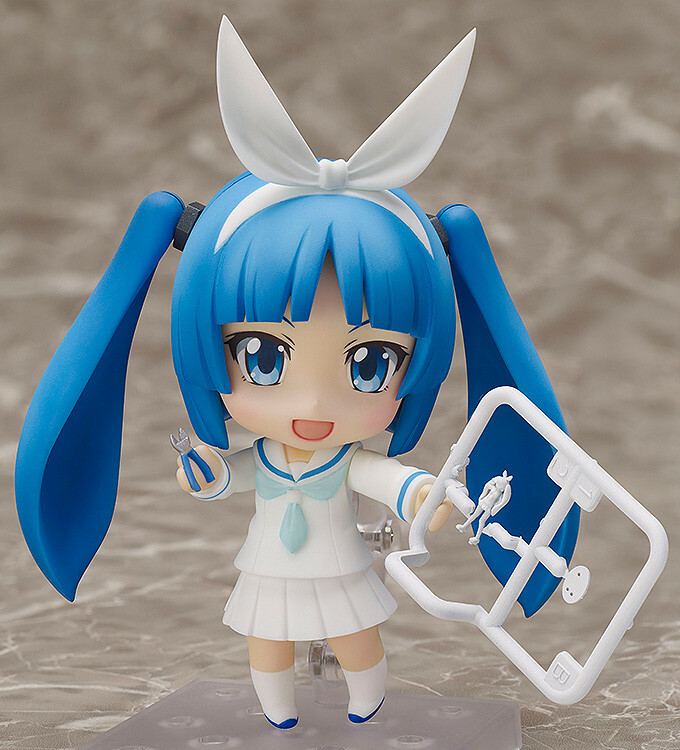 She comes with three different expressions including a confident smile, a triumphant expression that fits with her 'double nipper' pose perfectly as well as a crying expression! 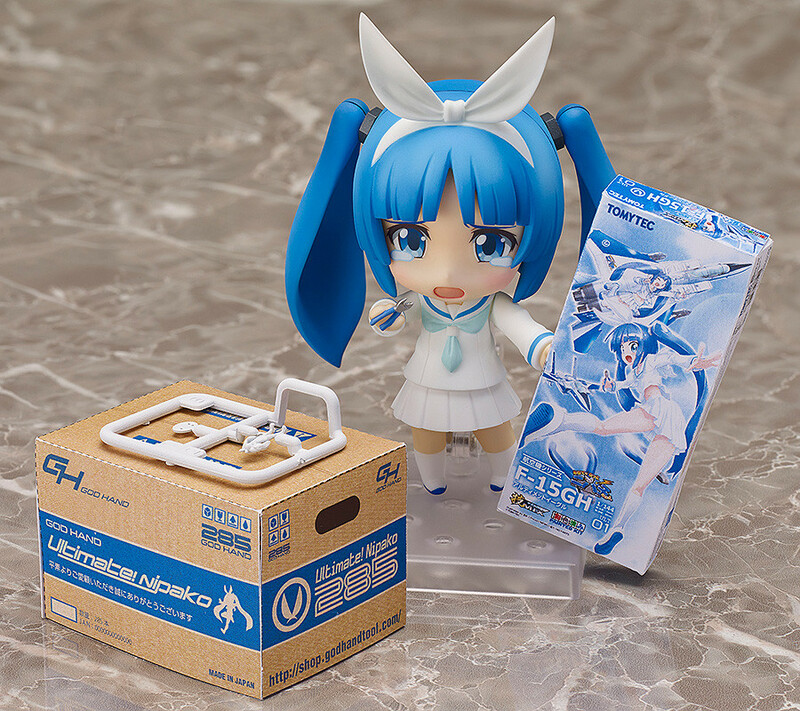 The inner cardboard of the packaging comes printed with paper-craft for a 'workstation' (cardboard box) and a plastic model package to display with Nipako! A 1/144th scale Nipako runner kit is also included for her to try and put together! 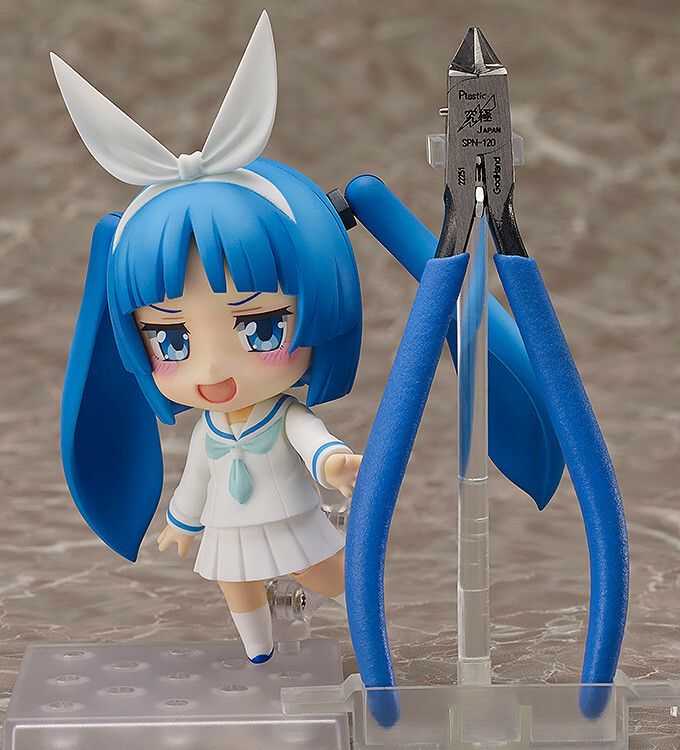 A special stand that to hold your nippers such as GodHand's Ultimate Nippers or Good Smile Racing's 'MSS-41 Takumi Tools : Ultra-Thin Diagonal Pliers' is also included for modellers! Add Nipako to your collection and enjoy your modelling life together with the adorable mascot! *Example of use. Actual nippers are not included with this product. 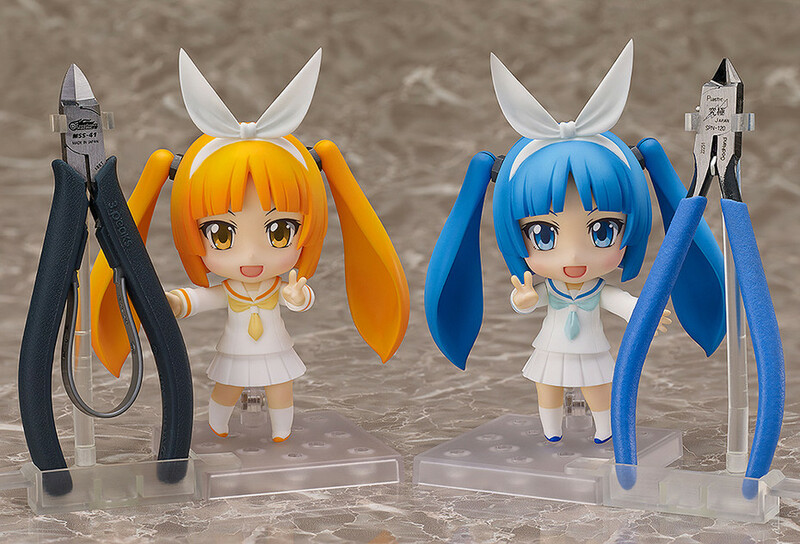 Preorders will be open from 10th November 2015 (Tue) from 12:00JST until 9th December 2015 (Wed) at 21:00JST.